If you're eager to restore the look of your paint back to its glory but don't know where to start, we've got a few tips for you to get you off and running. 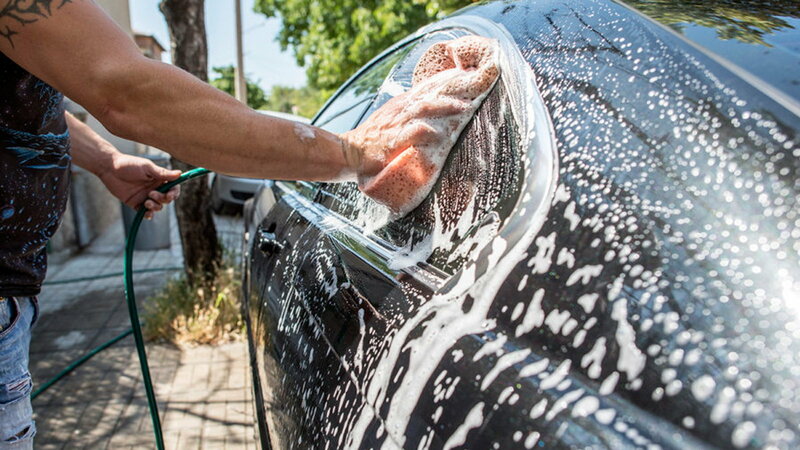 Properly washing your car is perhaps the most underrated and overlooked aspect of taking care of your paint. A good bath is a must, whether you're trying to repair that beautiful color, or just giving the ride a little love. So let's talk about what NOT to do first. Definitely, do not use an automatic machine carwash. Every one of those flaps that touches your paint bears a 50/50 chance of a scratch. 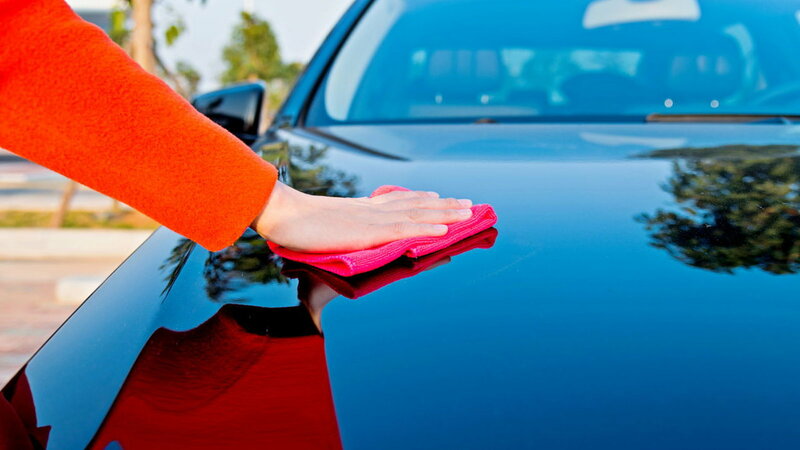 Provided you have the proper knowledge and resources, washing your car yourself is always recommended. If you choose to trust a "professional" with your baby, make sure they are following the necessary precautions and are doing things the right way. Washing your car yourself is not very complicated. However, it is easy to make mistakes that will damage your paint just by using the wrong tools. The first step, of course, is the rinse. You need to make sure all the little pesky particles on your car are completely out of the way before you can do anything else. Next would be the shampoo. There are plenty of good shampoo options available for you at your local auto supply store, the important variant here are the mitts. 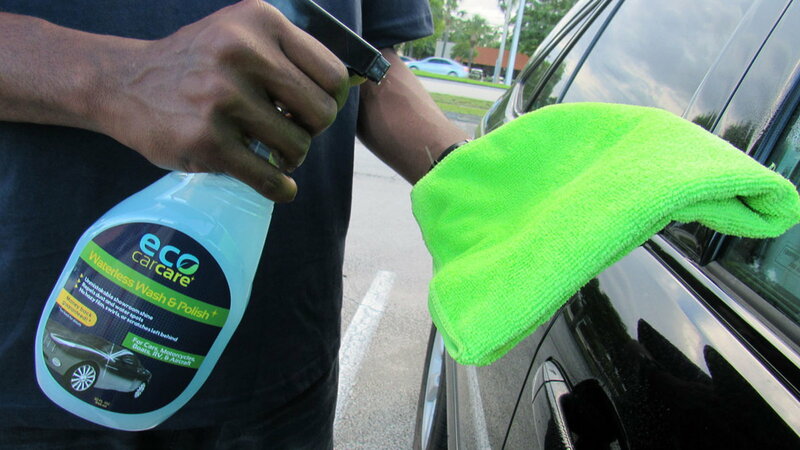 Be sure to use nanofiber mitts to wash your car to avoid leaving scratches on your clear coat. Rinse the soap and dry the car afterward. Air drying is always recommended to minimize the possibility of any unwanted objects coming in contact with your paint, but it is not very easily accessible, of course. A decent alternative that professionals often choose is Chamois. Go synthetic as opposed to natural for its higher water absorption, as well as it is a more humane option. 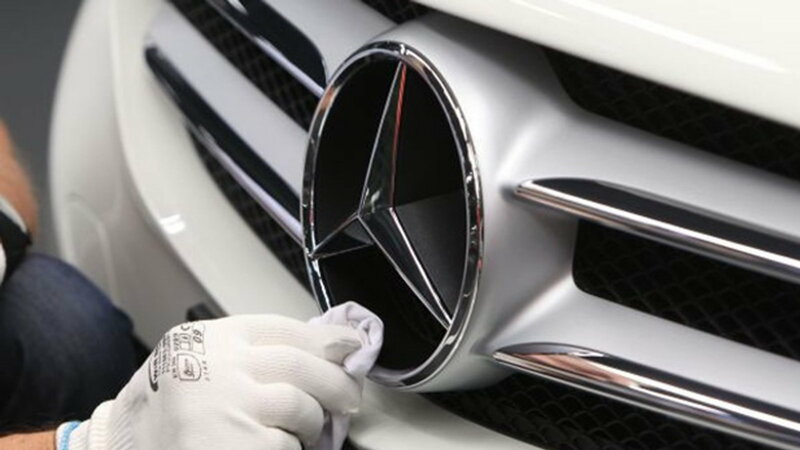 >>Join the conversation about detailing your Mercedes-Benz right here in MBWorld. 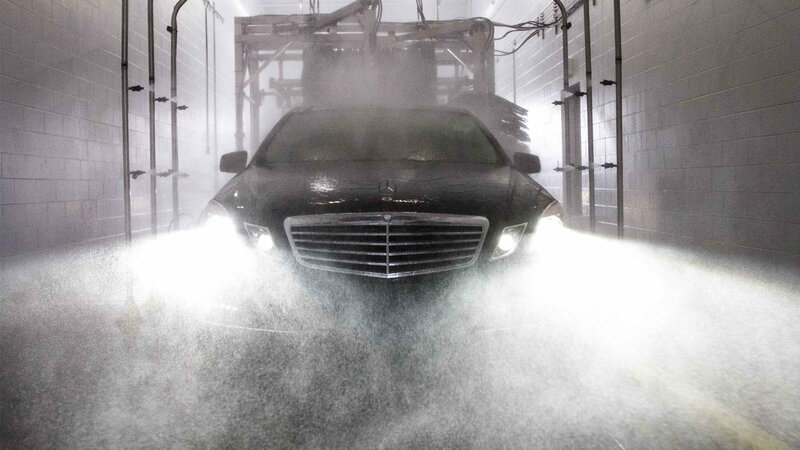 The art of the waterless wash is an amazing process that is as complicated as it sounds. However, while you can call a professional and rest assured your car is cleaned properly, you could also always take it upon yourself to apply what we like to call DIY. To start, you will need some very soft and absorbent microfiber towels. 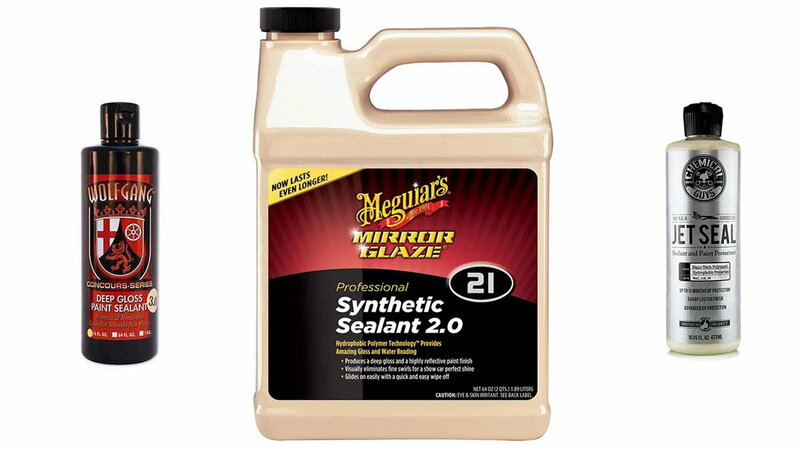 You will want to essentially apply the chemical spray onto the car panel by panel. You can then proceed to wipe it in one direction. 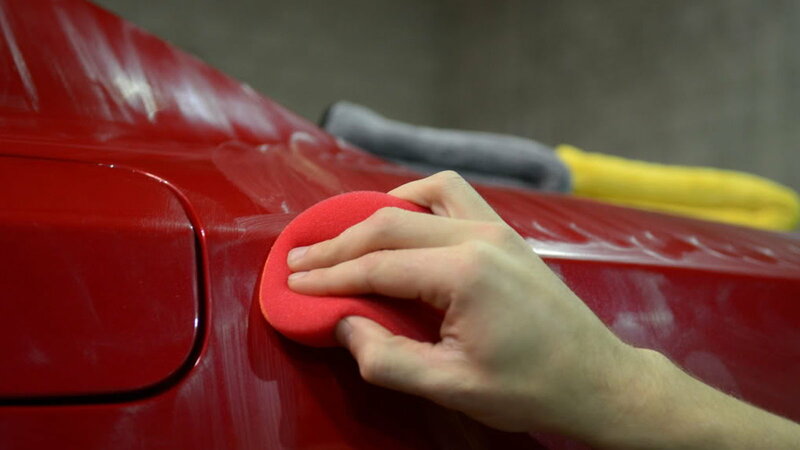 Make sure not to push on the surface of the paint too hard, or you will scrape the dirt that your water free wash product has just removed right back onto your paint. Check out a more thorough description and directions on water-free car washing right here. If your car's paint has reached a severe enough point of having contaminants intruding, you will need to go through this step. 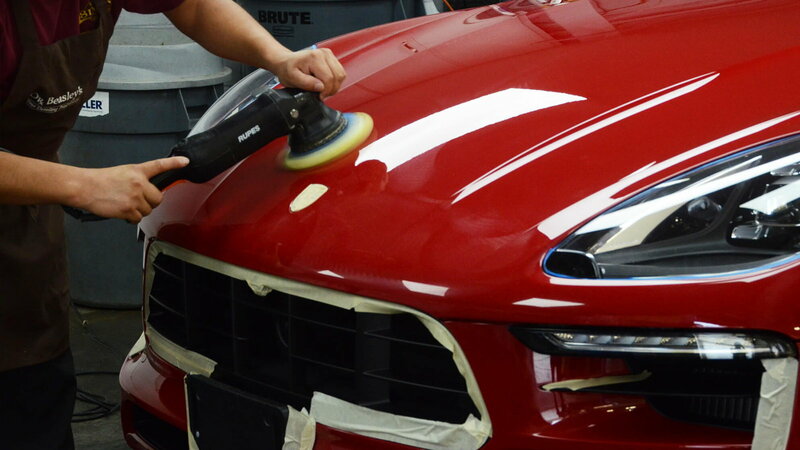 Applying clay to decontaminate your clear coat is one of the more commonly overlooked solutions, but when done right, it can often leave you with paint that is shiny as glass. Be sure to lubricate your block of clay or your paint before applying. Squeeze the clay into a ball, and rub it softly across each body panel. Make sure to keep an eye on the rubbing surface of the clay not to pick up particles that can leave scratches on your paint. You can always fold the clay onto itself to get a new, clean surface. Wipe off the lubricant afterward. Also, check out this how-to guide for clay use. Polishing your damaged paint is a critical part of the rehab process. It needs to be done right, or the consequences can be severe. Using a dual action polisher is very highly recommended to minimize your risk of error. You will want to use soft pads and finer compounds to avoid leaving swirl marks on your paint, especially, if you have darker color paint. Here's a step-by-step guide to polishing effectively. 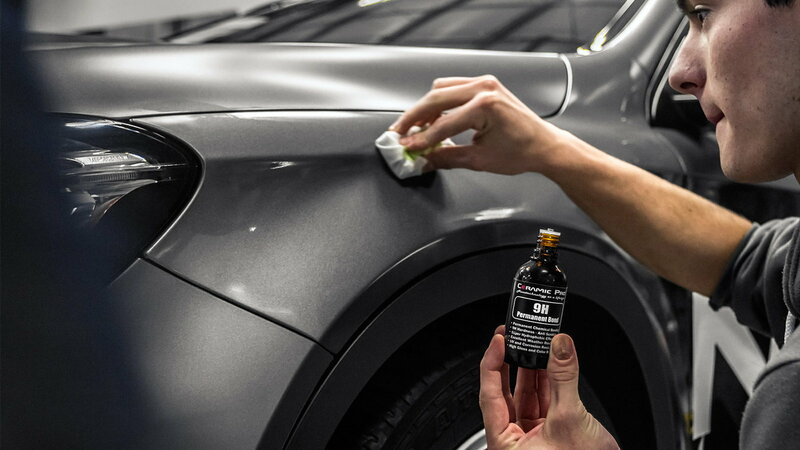 Having gone through all that work to get your paint looking nice and beautiful again, the last thing you want would be to let those ugly scratches and marks to find their way right back on to your shined clear coat. So, take things one step further and apply protectant to your paint. There are different routes to take depending on manufacturers' directions or personal preference. Classically, waxing is a well-established option for blocking outside threats from reaching the paint. Wax comes from various natural sources and provides protection for your paint, as well as a beautiful deep gloss shine. 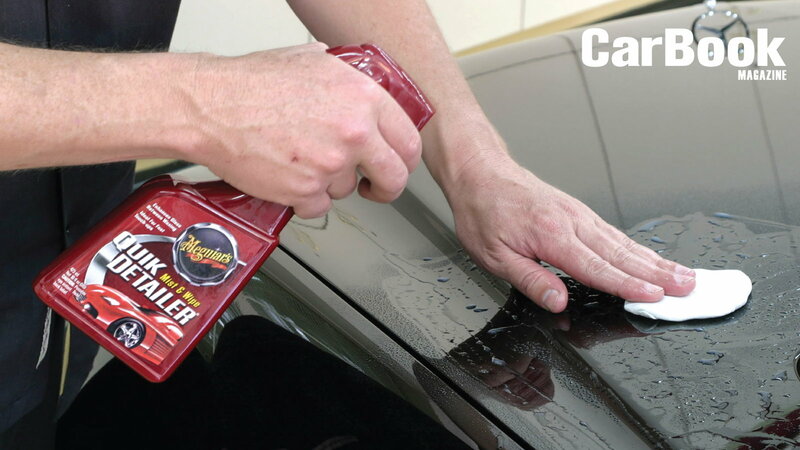 Having completed the previous steps, proceed to apply wax to every panel of your car until it is fully covered. You might naturally miss a few spots here and there so make sure to double check every part. As with everything else, be careful and apply gently. A good wax should technically keep you away from the car wash for a few months. Sealants essentially perform the same duties as wax. The major difference between the two is the fact that sealants are entirely synthetic. There are advantages to sealants as well, as they are relatively easier to apply and provide longer lasting protection. This is much more of a commitment than the other two kinds of paint protection. Also referred to as ceramic, or nano coating, the process involves permanently coating your vehicle's paint with a protecting clear, shiny coat of liquid that bonds to the paint, creating an additional layer of protection. These coatings are often water repellent as well, making your car less likely to get dirty or get stains in the first place. The coating essentially becomes a part of your paint. The only way to remove it would be to polish it down, or by natural wear over the years. Of course, now that your paint looks good as new again, it is worth giving some care to your car's jewelry as well. consider dressing the tires. Shiny shoes always look good! Clean every piece of glass with glass cleaner, inside and out. Don't forget the mirrors! Next, get to shining all the chrome parts: door handles, exhaust tips, etc. And a final thought: to go that extra step to make your Mercedes like it just came off the lot, dress all the plastic parts. Black plastic fades to gray over the years. Revamp those plastic panels with wax products such as Back to Black. You're now on your way to becoming a detailing expert. But remember to do thorough research for each of the processes before getting hands on.